Southeast Aerospace is excited to welcome Luke Gomoll, as our new Aircraft Modifications Sales Representative. Mike Sutphin, MRO & Aircraft Modifications Manager for Southeast Aerospace said, "We are very excited to have Luke join our team. With his help we look to build our aircraft modification business dramatically. 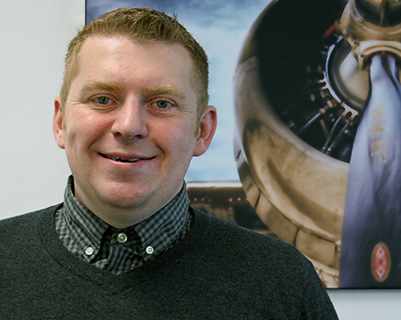 In the short time that I've known Luke, I've seen firsthand how well he uses his extensive technical and industry knowledge to assist our customers in making great decisions with their avionics upgrades." Luke received his Bachelors Degree in Aviation Maintenance Management from Lewis University and holds an A&P License. If you are looking to add or upgrade your existing avionics or have any questions, Luke can be reached at 321-255-9877 ext 242, or email Luke.Gomoll@seaerospace.com.